A Social justice bench of the Supreme Court comprising Justice U.U. Lalit and Justice M.B. Lokur today reportedly refused to stay the Kerala High Court's decision to order a CBI probe into the trafficking of children from Bihar and Jharkhand to the coastal state. Observing that, “Trafficking of children is a huge, huge problem in Kerala. You cannot say that this organization is good or that organization is bad,” the Court sought replies from the Centre and the Kerala Government. 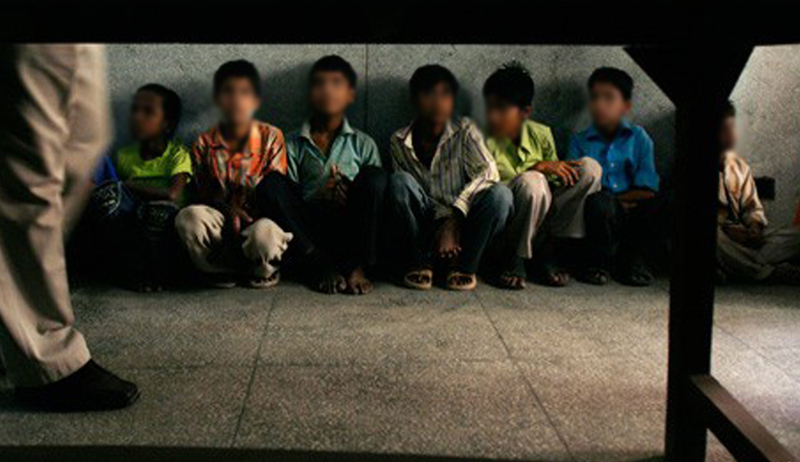 In May last year, the railway police in Palakkad had reportedly detained 589 children in a suspected trafficking case. The children had arrived in two trains at the Palakkad Junction railway station from Bihar, Jharkhand and West Bengal. Most of the children were below the age of 12. Some produced identity cards of Mukkam Muslim Orphanage in Kozhikode and Vettathur Anwarul Orphanage in Malappuram. However, the orphanages in Kozhikode and Malappuram claimed that the children were orphans and being brought to Kerala to give them better education and care. The issue had snowballed with the Indian Union Muslim League (IUML), an ally of the Congress-led Government reportedly alleging that the state government was trying to prevent the functioning of institutes meant for destitute Muslim children. The IUML had then stated that the orphanages were not involved in the sale of children for sexual exploitation or organ trade and the government should desist from oppressing them by pointing out procedural lapses. Last month, a division bench of the Kerala High Court headed by Chief Justice Ashok Bhushan had, on a Petition filed by NGO Thampu and others, ordered CBI probe into these allegations of trafficking. The Court had directed CBI to investigate into two cases registered by the Palakkad railway police and several police which concerned child trafficking in Kerala. The High Court had further directed the orphanages and child homes that no children should be received from outside, except in accordance with law. Furthermore, it had observed that Child Welfare Committees shall take appropriate measures in accordance with Juvenile Justice Act with regard to children who are still housed in orphans and child homes. CBI inspectors Ranjith Pandey and A. Vinod are reportedly investigating the case.